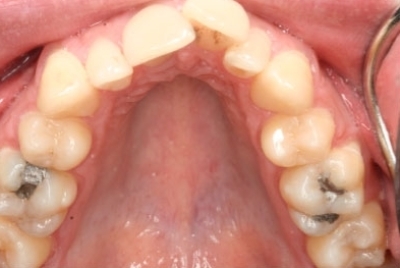 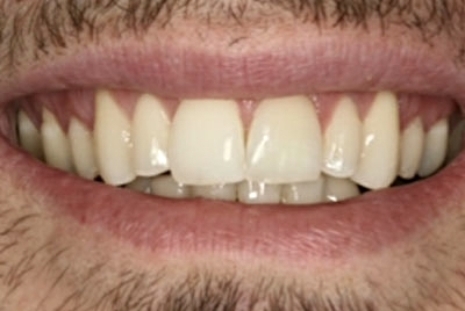 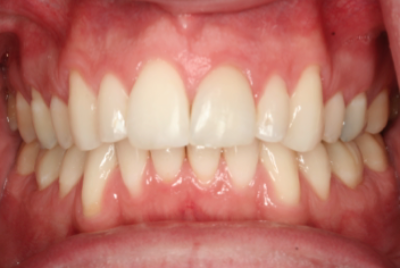 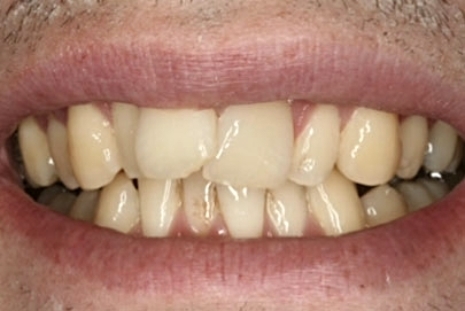 This case was treated and took about three months to straighten the upper and lower front teeth using the Cfast system. 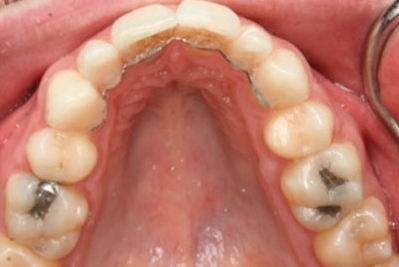 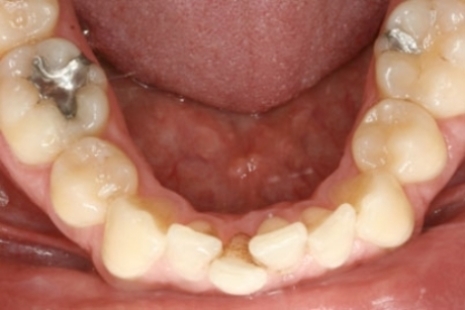 This technique uses tooth coloured brackets and white wires on the teeth. 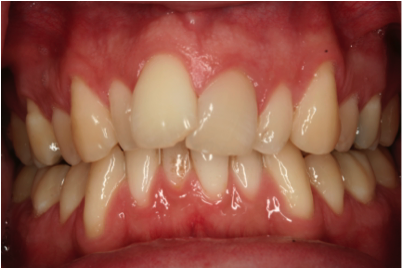 After the teeth were straightened, the teeth were whitened and a white filling was bonded onto the corner of the broken front tooth. 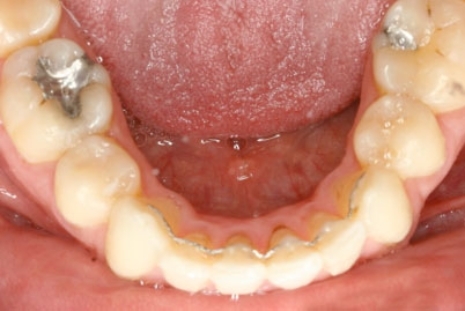 To stop the teeth from moving again after treatment, a wire called a fixed retainer was placed onto the back of the teeth.